Thermophotovoltaic (TPV) devices convert heat into electricity via the photovoltaic (PV) effect. However, efficient energy conversion requires spectral shaping of thermal radiation to match the emitter’s photonic bandgap to the PV electronic bandgap. Moreover, the proportion of emitted heat intercepted by the PV diode, or the viewfactor, should be maximized. In this work, thermal emitters with spectral and directional selectivity are studied to boost the TPV heat-to-electricity conversion efficiency. First, near-ideal selective thermal emitters with built-in filters are proposed. Using Kirchhoff’s law of thermal radiation, the natural resonant emissivity of rare earth based emitters is enhanced by matching the radiative and absorptive quality factors, or by applying the Q-matching concept. Also a chirped multi-layer dielectric reflector is integrated to reject parasitic sub-bandgap emission. With this design, the spectral efficiency defined as the spectrum proportion absorbed by the PV diode can reach 80% and the theoretical heat-to-electricity conversion efficiency can reach 38%. Second, viewfactor enhancement between emitters and receivers is proposed by introducing spatially-dependent angle-restricted thermal emitters. This arrangement ensures high viewfactor without restricting the area ratio or the distance between the emitter and the receiver. In particular, sawtooth metallic gratings are shown to support asymmetric delocalized surface modes with asymmetric directional emission about the normal direction. Simulation results obtained by rigorous coupled wave analysis and finite difference time domain are used to verify and optimize the expected asymmetric thermal emission. This asymmetric behavior is distinguished for grating periods larger than the wavelength with emissivity peaks implied by the Q-matching condition. Enas Sakr is a PhD candidate in the school of electrical and computer engineering with a concentration in fields and optics at Purdue University. She received her B.Sc. and M.Sc. degrees in electronics and electrical communications both from Cairo University, Egypt, where she worked as a teaching and research assistant. Her research interests include modeling and simulation of nanophotonic structures, plasmonic structures and metasurfaces, with the theme of tailoring thermal emission for energy harvesting applications. During her M.Sc., Enas studied the effect of spatial modulation of periodic structures in the microwave regime and their potential applications for waveguide filtering. At Purdue university, her work focuses on efficient harvesting of waste heat as electricity using photonic and photovoltaic concepts, or thermophotovoltaics. She proposed an integrated filter rare-earth thermal emitter with near-ideal emission spectrum for improved thermophotovoltaic efficienies. She also developed asymmetric directional thermal emitters for directing and focusing heat from emitters to receivers. Enas has published in several journals, including Nanophotonics, Applied Physics letters, Journal of Applied Physics A and MRS advances. She also presented in international conferences including the electromagnetics Theory symposium (EMTS) and the SPIE photonics west. Enas worked as a teaching assistant for the online nanoHUB-U class: nanophotonic modeling on nanoHUB.org. She also served as a graduate mentor for undergraduate researchers funded by the network for computational nanotechnology (NCN) and the summer undergraduate research fellowship (SURF) program at Purdue University. 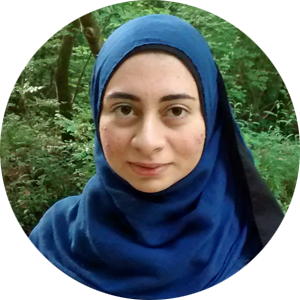 Enas is the recepient of the Bilsland dissertation fellowship award in 2016 at Purdue university, and a recepient of the SPIE optics and photonics education scholarship in 2015. She was also awarded the best graduate mentor award in 2014 at Purdue University, and the young scientist award (YSA) in the electromagnetics theory symposium (EMTS) in 2010 in Berlin. Enas is an active member of the SPIE student chapter, and the nanotechnology student advisory council (NSAC) at Purdue University.